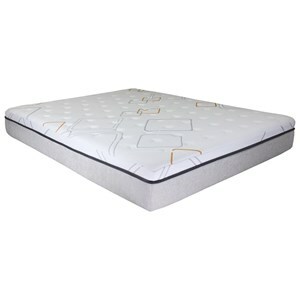 The Jasper Full 12" Memory Foam Mattress by BedTech at Furniture Superstore - NM in the Albuquerque, Los Ranchos De Albuquerque, Rio Rancho, Santa Fe, Corrales, NM area. Product availability may vary. Contact us for the most current availability on this product. Comfort Layers 2" Responsive Gel Infused memory foam. 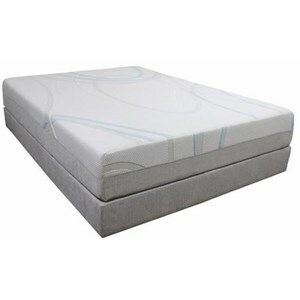 1.5" Open Cell Memory Foam. 2" Comfort Foam plus 4" HD support foam. Combining latex and gel-infused memory foam to create a mattress that perfectly shapes to your body, the Jasper collection will make sure you are getting a great night's sleep. A layer of ventilated latex will keep you cool through the night and offers a plush feel. Comfort foam and HD support foam will leave you feeling refreshed, so you can make the most of your day. Enjoy all that Jasper has to offer when you update your mattress. The Jasper collection is a great option if you are looking for Mattresses in the Albuquerque, Los Ranchos De Albuquerque, Rio Rancho, Santa Fe, Corrales, NM area. Browse other items in the Jasper collection from Furniture Superstore - NM in the Albuquerque, Los Ranchos De Albuquerque, Rio Rancho, Santa Fe, Corrales, NM area.